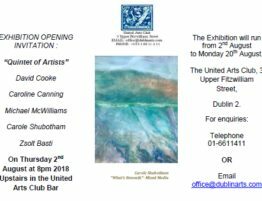 The United Arts Club is situated in the heart of Georgian Dublin. Since its foundation in 1907 the Club has been a meeting place for people with an interest in all aspects of the arts. The club has a fascinating and rich cultural history, our founding members include WB Yeats, Countess Markievicz, and AE Russell. 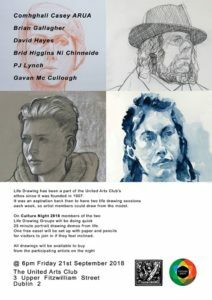 We would be delighted to welcome members of the public to come visit the United Arts Club on Culture Night, where we will be hosting a variety of events throughout the night including; Life Drawing Classes, Musical Performances in the Function Room and Poetry Recitals in the Club’s Bar. 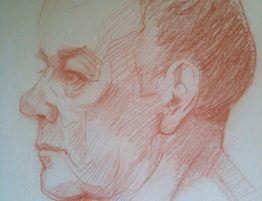 Members of the Club’s two Life Drawing Groups will be doing quick 25 minute portrait drawing demos from life. One free easel will be set up with paper and pencils for visitors to join in if they feel inclined. Helena Brennan, Artist Potter, Specialising in Hand Thrown Porcelain will show a short documentary Film by her son, Fergal Brennan, filmed at her studio titled, “CLAY, FIRE AND TIME: 50 Years in Ceramics”. 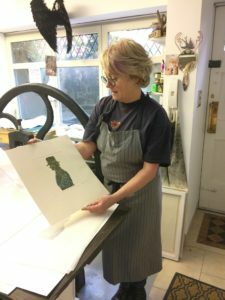 Marie-Louise Martin, Contemporary Printmaker will be giving printmaking demonstrations throughout the evening. 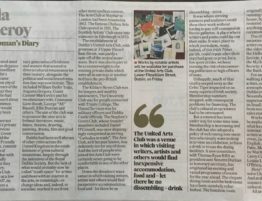 Visitors can also enjoy the current exhibitions being held in the Arts Club, “Drawing From Life” which can be seen in our Bar and the mini exhibition hosting miniature works by Artist Members in our Cabinet of Curiosities. Our Dining Room, under Chef Anthony O’Grady will be open from 6.30pm. 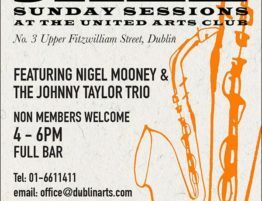 Booking can be made through the United Arts Club Office : 01-6611411 OR office@dublinarts.com. 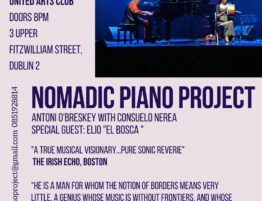 Looking forward to celebrating culture in our city on Cultutre Night and hope to see some friendly faces there!